All grips are manufactured in the USA using only domestic billet. We use durable UV/Gas/Oil resistant Goodyear™ Santoprene rubber on our round grips with rubber. 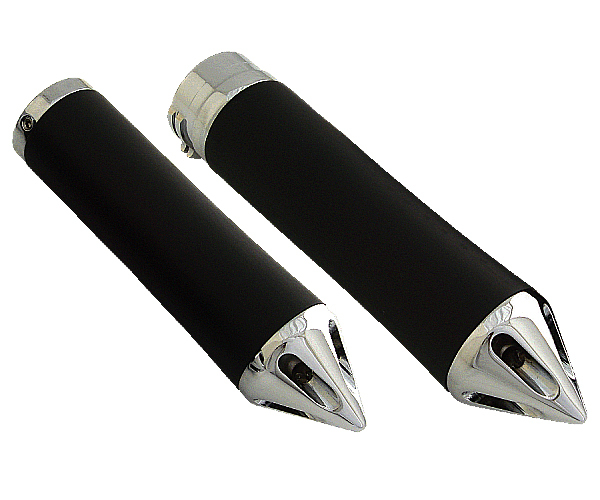 Throttle by wire (TBW) grips are only for use on Harley Davidson motorcycles equipped with Electronic Throttle Control systems.